Mr. Baron serves as President of Metro Management, and is actively involved in the oversight of the day to day management of Metro's portfolio, as well as overseeing office operations. Mr. Baron oversees the Cooperative and Condominium portfolio for Metro. 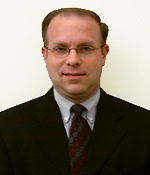 He is responsible for much of the firm’s strategic planning and new business development. He assists in the strategy and implementation of management issues, and serves as liaison between Metro and its clients. Prior to his position at Metro, Mr. Baron developed an interest in property management while serving as President of the cooperative board for his personal residence, a position he has held since 1991. Prior to joining Metro, he was employed by City University of New York, Department of Economics for five years. Mr. Baron is a graduate of New York University, where he received his B.A. in Biology in 1981. He received a second B.A. in Accounting in 1986.